Guys! I am very proud to announce my new 2018 album release on the 15th of June! Twelve tracks which some of them have been released on Space Holidays and/or Space Odyssey compilation albums. On this album you will find remastered versions of those tracks, and of course brand new unpublished tracks! I am pretty sure you will like it! Official release-date is June 15 2018, and is available on Spotify, Deezer and all those other streaming services and download sites now! Hardware copies, as in physical CD’s, are available and can be ordered at: Discogs and the Shop-page on this website (Paypal only). 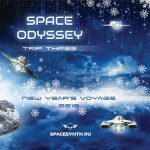 It became a tradition for Spacesynth producers to give away some free music at the end of the year, and try to participate in the well known and much appreciated holiday compilations Space Holidays (USA) and/or Space Odyssey (RU). 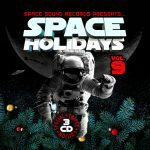 This year the Space Holidays compilation consist of 3 CD’s and is available for free at Spacesound Records. I am represented with two tracks on the American Spacesynth compilation and with one track at the Russian compilation. I hope you all have a wonderfull 2018! and please follow my social media accounts for news on my 2018 album of which I expect it to be released around June this year. Thanks again for all your support! and Happy New Year! Summer is drawing to an end, and so it’s time to start producing some music again! Actually I am working on a brand new Spacesynth album which will be released maybe in the end of 2017 or at the beginning of 2018. In the past months I have been working on some tracks occasionally, and about 8 tracks are about 90% finished. These 8 tracks still need some attention and I need to make some more, which will happen as soon as I find some energy and inspiration again. On this album I try to produce a nice mix between old school Spacesynth and some more modern sounds. Although I like the 90’s sound very much we can’t keep living in the past, so let’s try to elevate this music into todays standards. 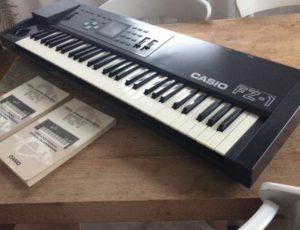 I am also working on some trance music, and because of that I ‘needed’ some other synthesizers to be able to produce the different sounds needed for that kind of music. So I bought a Roland JP8000 and and a nice Korg X5 which I stuffed with JayB’s soundsets. Together with my Yamaha AN1x and other vintage gear I can actually produce a very nice trance sound. As my studio grows I have been able to collect a nice versatile range of gear with which I can make a lot of different styles of music now. So it’s just a matter of learning ‘how it’s done’ and I am good to go. Another project I got involved with was SynthOne. Rob van der Guy (Robert Gaj) asked me to join this project because Kenji Tanaka is still missing (since september 2016) and no one has heard of him ever since. As I have been working with Rob and the other members before, this should have worked well, but minor differences of opinion have resulted in a difficult cooperation. At the moment, I do not think the cooperation is viable at all, so I told them I will be working on my own music for the next few months instead. Although I think collaborating in other projects can be fun, I need my energy and creativity for my own music. So that will always have my priority. So, thats about it for now, I’ll keep you posted! Hey guys! I thought I would share with you the projects I am working on. In fact I am working on my new album which will be released in January or February 2017. It is for about 95% done and this album will contain more up-tempo tracks and mixes with other styles. A few months ago I also started a new Dance project under the name FORMAX. Under this name I will produce some nice trance tracks in the near future, a first glance can be found on Soundcloud. Last month I bought a Korg DVP-1 Vocoder and I already used it in a new project. German Shlandikov from OBLIVION asked me to make vocoders for one of the tracks on his new album, so I made him some vocoders. And of course the DVP will be used on my own new album as well. Talking about the holidays: Space Holidays, the annual compilation by Space Sound Records, will contain two of my new tracks as a teaser for my new album. I am proud my music will be part of these compilations and people can obtain them for free from their websites. – Mariusz Baranowski: A guy from Poland who made some Spacesynth music in the nineties asked me to do a remix for one of his tracks a long time ago. I simply didn’t find the time to work on it, but I will do so in the near future. – Rebecca Ekman: Unfortenately I had to cancel this project. I had a perfectly good track ready, but miss Ekman was probably too busy making selfies, and didn’t answer anymore. – Fernando Gomez: A starting Spacesynth producer from Spain which asked me to take a look at one of his tracks and maybe do a remix or some improvements. I proudly present my new album “Hope and Destiny” which has officially been released on CDBaby.com today! All tracks on this album are somehow inspired by the exploration of planets with orbiters, landers and rovers. Hope and Destiny is a story about the exploration of space and the search for extraterrestrial life. One of the quotes I used on this album is by former president Bush Senior: “History proves that we have never lost by pressing the limits of our frontier. We dream of distant shores we’ve not yet seen. Why the Moon? Why Mars? Because it’s humanity’s destiny to strive, to seek, to find”. I decided to release my music as an independent artist with digital distribution on CDBaby, iTunes, Spotify, Amazon and lots of other digital music providers around the world. For collectors there is a limited edition hardware copy available (e.g. 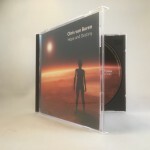 physical CD) which is produced by CFM Media as a CDr in jewel case with printed label and booklet. There will be a maximum of 50 pieces produced and all CD’s are numbered and signed. Visit my shop for more info. Physical CD’s are also available on Discogs.com. Today I released my first track on CDBaby.com as an independent music artist. 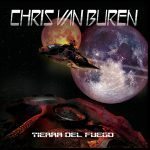 I have uploaded “Destination Mars” to their systems, so this will be available on iTunes and Spotify (and so on) in a few days, and of course also on CDBaby.com itself as a digital download. 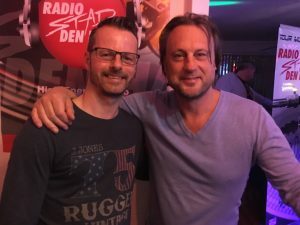 I decided to stop thinking about cooperation with a music label and take matter in my own hands as an independent artist. 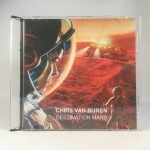 Hard copy’s of Destination Mars are available aswel it’s on CD-R media, with printed label and sleeve, in a very limited edition, numbered and signed (only 30 available). Please send me an e-mail to obtain your copy. As you might have noticed I am working on a new album right now. This will be finished this spring and will be available on iTunes and Spotify aswel. This album will also be available as hardcopy on CD-R media in a limited edition, but more on that later! This album will contain ten brand new tracks and some very special remixes of Aim for the Moon and Destination Mars. I am sure you will like it! Thanks for supporting me by buying a legal copy of my tracks!